The consumer mindset is always running after changes. Things never remain the same in the consumer market as it was of yesteryears. No matter what the gender, economic background or educational qualification the individual possess, the choice of each individual, their particularities in choosing the desirables keep changing according to new trends and seasons. The choice keeps differ and customers look for new variants in their shopping platforms. With the advent of technology, every business field is turning online versions for more reach and convenience. With the introduction of E-commerce, it became easy and convenient for the customer to choose and buy a product. If the customer is in need of a product, all that he needs to do is use his mobile phone or laptop, go to some online stores or sites and purchase his favored product without any chaos or hurdle. For many reasons, like convenience in shopping, exposure to large product variants, timely delivery, quick and hassle-free payments, portability, numerous choices and discounts, E-commerce has established itself into a strong and robust platform, also a prominent and most-sought choice among the customers. The consumer mindset has significantly changed with the advent of E-commerce websites like Amazon, Flipkart etc. over the last few years. 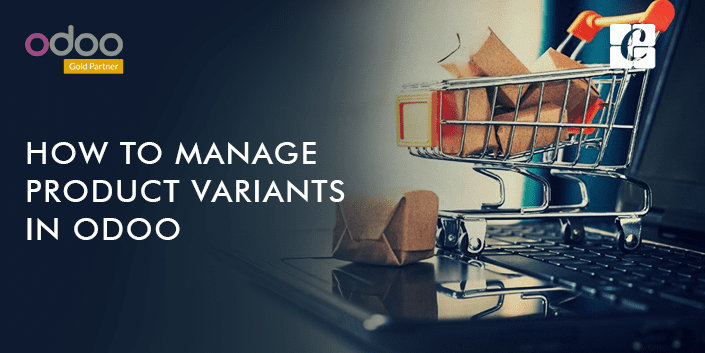 One of the pivotal and robust elements that E-commerce hold in themselves is the access or availability of different product variants in their platforms. The customers are showered with numerous variants of a single product quenching the thirst of diversified choices and preferences among customer community. E-commerce platforms opens a new plethora of shopping experience to its customers, opening a seamless, easier and convenient platform for its customers to choose the best product or service out of different variants or suggestions showcased. 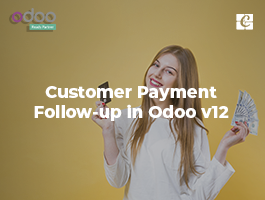 This is one of the smart technique implemented by the E-commerce sector way to attract new customers and their existing customers. In the e-commerce websites, if you check, you can find large variants for the same product, giving customers a new shopping experience. So a person who is browsing the E-commerce website has the option to go for a product, keeping in mind his need and budget. For example, if we take the case of a mobile phone, an E-commerce website provides with different choices of the same product. A lot of specification with respect to its color, memory, RAM etc will be provided with. So here, the user gets the full privilege of choosing a product which he likes from the enlisted choices. 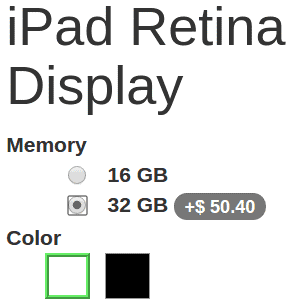 So it is important to mention product variants in the product page. 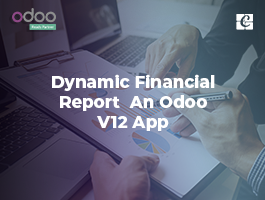 Odoo ERP software support product variant feature. 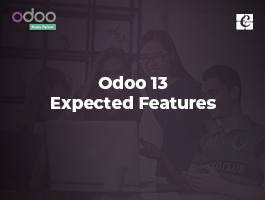 In this blog, we will see how product variants are included in product page using Odoo/Open ERP. Now from the product list select a product and got to the variants tab. Product > product list > variants tab. Now add the attributes you need on this area. If there are two values for one attribute, you can get the variants for the product. For editing the variants, go to the product template detail form and go through all the variants. The various data which can be edited are a picture, which will be edited on the website, barcode, internal reference, volume, and weight. Here internal reference and barcodes are specific for each variant. If there are a lot of variants, there is a fast way to edit the variants. For that go to sales? product variants, and from there edit the variants. When variants arise, they will have a different process and this too shall be set. Go to product detail form > select variant prices > now set a specific price for the variant. Also to remember there is an advance price computation method in case of product variants called as the price list formula. 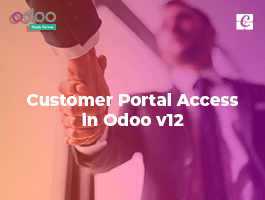 If some conditions arise where you have to disable a variant, Odoo/Open ERP has got the option to do that too. 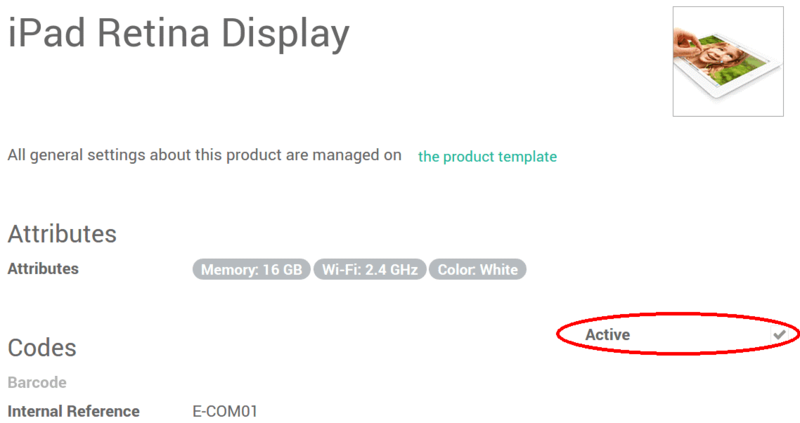 To disable a variant all you have to do is check on the active status of the product in the detail form. The product variant is now disabled. Once disabled the product no longer will be available on the website and quotes. Here you can see the active status, here is where you have to click to make it to inactive status. Once deactivated the product will be moved to the archive section, the advantage of moving the product to the archive section is that it can be retrieved any time when needed from the archive section. Go to variant list > click archived section. Upon clicking the product it will be reactivated in the same way with which it was disabled. 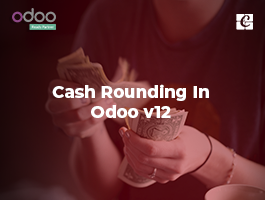 This is how product variants are managed in Odoo/Open ERP.